The Incredible Journey meets The Mouse and His Child, an enchanting tale that begs to be read aloud. The magical story of the adventures of a lost toy rabbit from a New York Times bestselling author, twice winner of the Newbery Medal. 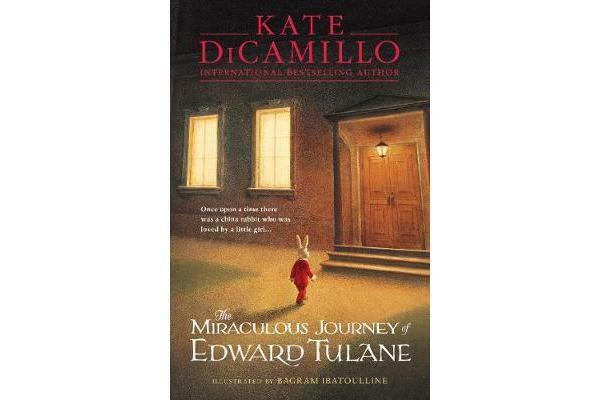 Abilene loves her blue china rabbit, but Edward Tulane is extremely vain and only loves himself. On a voyage from New York to London, Edward falls overboard and from there finds himself on an amazing journey. He travels with tramps, works as a scarecrow, comforts a dying child … and finally learns what it is to truly love. AthleticsNon-Fiction > Travel Maps & AtlasesNon-Fiction > Industry & Industrial StudiesEconomicsFootballMiscellaneous Items > Gift Books and Gift Ideas4K Ultra HD | ComedyAdventureNon-Fiction > Self-Help & Personal DevelopmentNon-Fiction > Home & House MaintenanceFiction > General FictionNon-Fiction > Lantern PublishingKids & Children > Dr Seuss2019 Calendars > 2019 Wall CalendarsSociety & Social SciencesMotor RacingAnimeNon-Fiction > PsychologyNon-Fiction > Social Services & WelfareFiction > Action & AdventureNatureCookery/WineClassicWarNon-Fiction > Computing & I.T.